It’s been on my mind for a while. Probably close to 4 years. Dating back to when I started my YouTube channel and helping people all over the world move better. The world is a funny place these days. We’re so constantly connected via the internet and social apps and our phones, that we are often simultaneously disconnected from our physical surroundings and relationships with the people in those spaces. What does that have to do with me coaching? I enjoy making videos for people on the internet. And I love helping patients in real life. Coaching is partially an extension of my physical practice. It helps me see athletes moving in real time and space to inform and educate my work in the office. But it’s also an obvious bridge between my two great passions: Chiropractic and Fitness. I’ve already been creating some online resources, like the free Full Body Fix Warm Up Manual specifically for the fitness minded individual. Now I have another avenue to put my thoughts into practice each week in the gym. 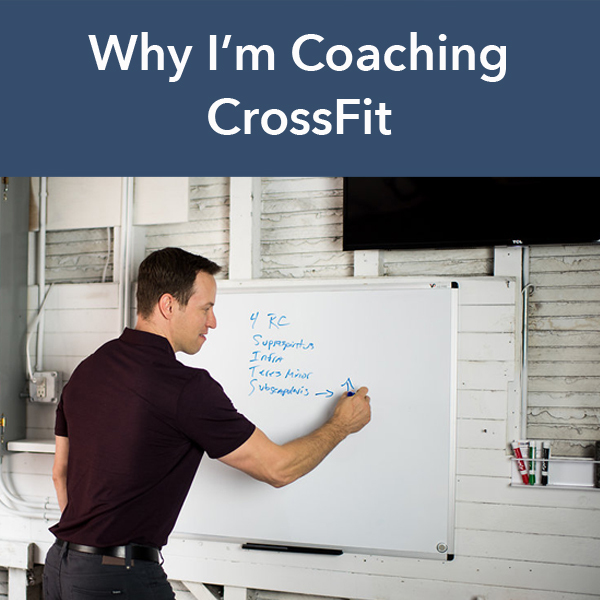 So when a (very) part-time coaching opportunity arose at my home box, CrossFit Golden Gate I spent about 5 minutes talking with Diane about it and quickly accepted. It’s just a few classes a week, which truthfully is all my busy schedule has room for. But it feels…big. Like a big step forward in my life. Have you ever had one of those moments? Where you made (what felt like) a decision and then you told someone close to you and they sort of give you that look like – “yeah…of course.” Or even, “what took you so long?” I always find it interesting when this happens. That we can’t always see what’s so obvious to others…what we’re good at…what we should be doing. I’ve been training at CFGG for about 2 years now. And for the past year, almost every Monday morning the owner/coach of CFGG, Danielle Rabkin and I have had a regular, albeit unofficial “masters monday” training session. It’s a time for us (ahem) older athletes (who need an hour to warm up) to train and get ourselves ready to keep up with the ‘kids’ in the Open. I’ve gotten to know her well and respect the programming and goals she has for the gym and its members. I wouldn’t attach myself to it if I didn’t. A big part of that respect is what I’m so passionate about in the gym: Movement Quality. For people that know Crossfit well, they have likely seen the full spectrum of movement standards. Most are good, but certainly I’ve been in some boxes where the lack of attention to movement detail makes me cringe. And this brings me to the last reason I’m coaching CrossFit. I want to make a difference and raise the quality of movement across the industry. It’s what I do with my online work and now what I’ll do in my classes. I truly believe CrossFit has something special to offer the world (when done well). The changes you see in athletes physical and mental lives can be incredible. But we need to continue to strive toward creating environments that focus on movement quality ahead of load and intensity. Because as any good coach or movement provider will tell you, the quickest way to injury is poor form + load * intensity. The strength of the CrossFit community can also be its greatest weakness. The same group class / tribe environment that pushes you (positively) to do things you never thought you could can also cause your ego to choose load over form. And a coach must hold the standard. He’s a wise fellow. And a hell of a great coach. Maybe I will be someday too. An audio version of this can be found on Episode 87 of Full Body Fix Radio. Stop chasing pain and wasting your time! Snag my complete Video Rehab Program The Full Body Fix and take $10 off with a subscriber only coupon and grab my Free Warm Up Manual while you’re at it! Simply Subscribe Save & Feel Better! I'm Dr. Scott A. 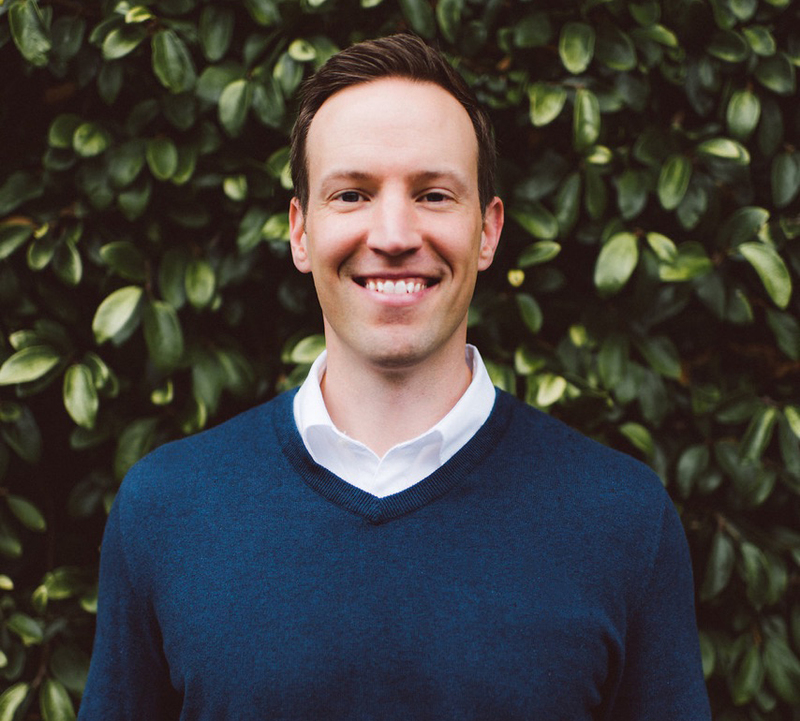 Mills and I'm a chiropractor in San Francisco who creates resources for athletes and everyday people to eliminate pain and improve the way you move. Check out my podcast, program, and blog or schedule an appointment if you'd like to see me here in the Bay Area.